It's never been easier to set up your own online classroom. . . unless . . .
. . . you don't understand your options and the pieces you'll need. I'm going to help you remove that roadblock right now as I detail the pieces of an online classroom and three approaches for setting one up. 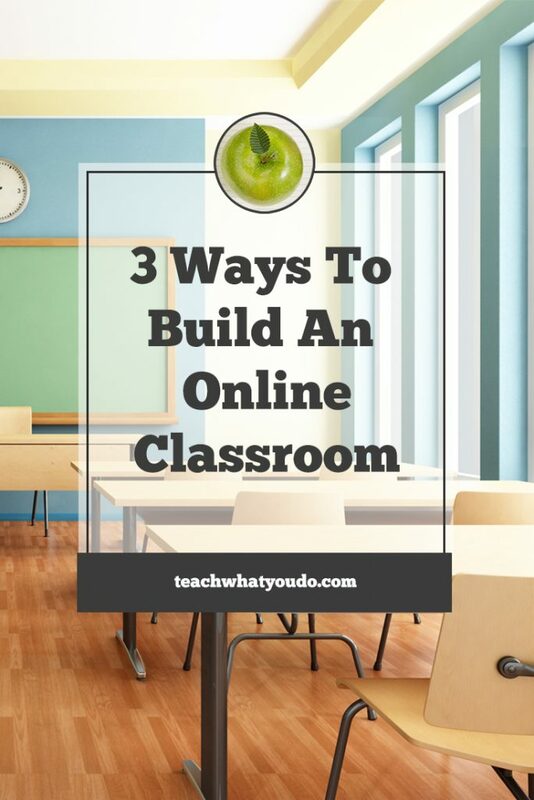 There are three main fuctions of an online classroom. 1: Present “on-demand” class content. Enable your students to log in and access audio, pdf, video, and interactive content in the classroom at their convenience (thus, it is “on-demand,” available when they want it). Understand that you will both need to STORE information/files and PRESENT them clearly and easily to your students. 2: Present or point to “community” and “live-event” content. If you've got a handle on what your audience wants to learn and your own teachable skill to address that need, don't let setting up an online classroom keep you from moving forward. Especially don't let an inability to decide on a platform to be your roadblock. Use the information in this post to get moving forward. And if you've got questions, get on over to our free Facebook group to ask them. ABOUT. Community and live webinars are sometimes a part of classroom platforms—but often they are separate secured systems that your classroom “points” to. For example, you’d have a menu choice for “Community” that goes to a private Facebook Group or a choice or “Live Event” that goes to a private webinar session. COMMUNITY. While you can often integrate a “bulletin board” or “forum” in your classroom, Facebook groups are also popular community options. LIVE VIRTUAL EVENTS. While you can sometimes integrate webcast functionality into your classroom, a popular option is to set up private sessions with tools like GoToWebinar, Zoom.us, or Webinar Jam then point to them from a menu or classroom page and within your emails to your students. 3: Integrate systems for payment, automatic access & communication. ABOUT. 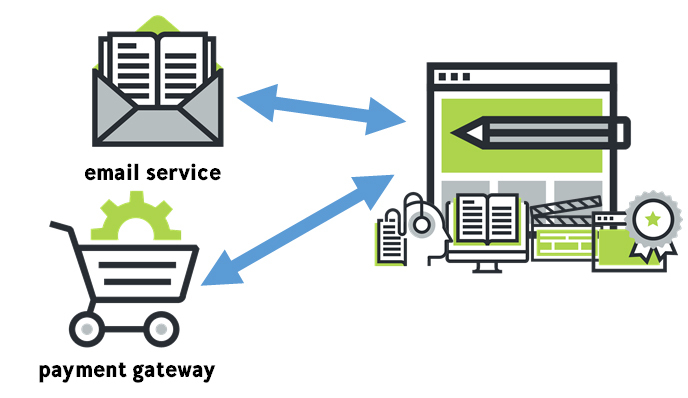 Your classroom platform needs to integrate with a payment gateway so that you can accept payments and provide automatic secure access to the classroom and content. Your classroom will also integrate with an email service so that you can communicate with your students about their classes and future offerings. PAYMENT GATEWAYS. Stripe and Paypal are solid payment gateway options supported by most classroom platforms. They enable you to accept payment safely online. EMAIL SERVICE. A full-featured email service is essential for both supporting current students and marketing to prospects. Active Campaign, Get Response, ConvertKit, InfusionSoft, and Ontraport are services suitable for this work. So here is the basic functionality you need to set up. 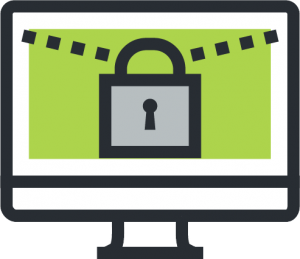 A Membership Plugin enables you to “protect” private classroom material. It integrates with payment gateway and email to provide automatic username creation and access to the protected area. Will also automatically add student to your email list. You’ll use WordPress posts, pages, menus, sidebars and other plugin functionality to design and format your classroom. 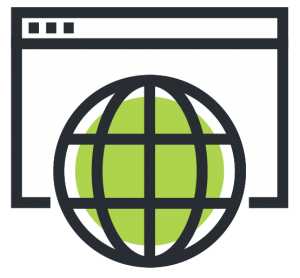 You gain control with this option—but also more responsibility for design and website maintenance. STORE AUDIO & PDF FIILES. Your audio and PDF files can be stored on your server or with a service like Amazon S3. Then, within your classroom, you will present those stored files. STORE & PRESENT VIDEO FILES FOR SMOOTH REPLAY ON ANY DEVICE. Use a service like VIMEO or WISTIA for storing video files and encoding them to ensure they play back on any device your student might use. 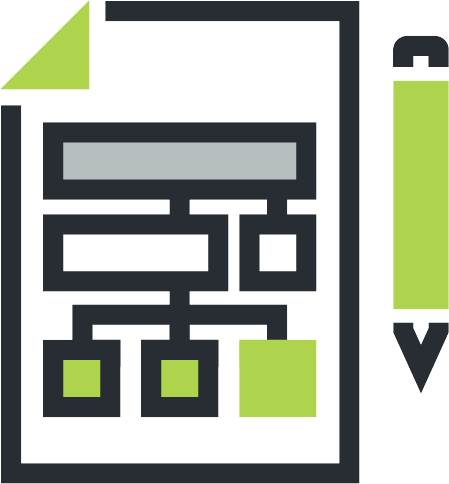 An LMS Plugin formats your WordPress site for easy classroom set up, usually with a class/ module/ lesson hierarchy and formatting for displaying content. An LMS setup usually includes “progress” indicators and the ability for student to check off work as they complete it. You gain ease of setup but lose flexibility in design. MEMBERSHIP PLUGIN? Try to go with an LMS plugin that has “MEMBERSHIP” capabilities for protection and integration as described above. If you don’t, you may also need to add a membership plugin. STORE AUDIO AND PDF FIILES. As with Option 1 above you’ll need to store your files. INTERACTIVE AND QUIZZING FEATURES. Many LMS plugins come with quizzing & interactive capabilities. Read the “fine print” to find out. With a Hosted LMS (Learning Management System) you do not build your classroom on your own website. Rather, the maker of your chosen Learning Management System, “hosts” you, and you use their built-in functionality and classroom structure for your own class. You can point your own domain (website name) to this hosted platform so that it appears to be your site. You gain ease of setup with this option and give up design and file hosting control. 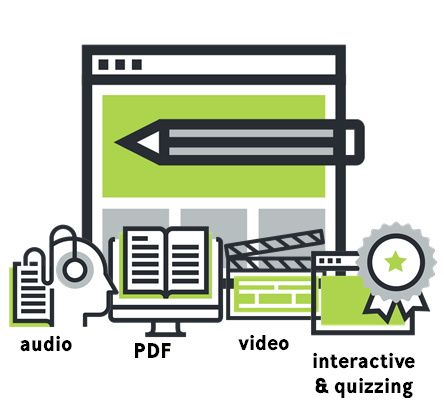 FILE STORAGE AND PLAYBACK AS WELL AS QUIZZING ARE OFTEN INCLUDED in a hosted LMS. Read the fine print and features lists to see exactly what is included and what you’ll need to add. Make sure you can get your files out of the system in usable formats if you move later. Which online classroom platform will you use?